A giant wild boar terrorises a patch of rural Australia. Spiders as big as Volkswagen Beetles. Ocean liner sized crocodiles. Armies of marauding, man-eating kangaroos. The Australian countryside is no place for humans. Okay, so maybe I'm exaggerating, but you have to admit there are some scary creatures who call Oz their home, something Australian filmmakers have been keen to exploit over the decades. 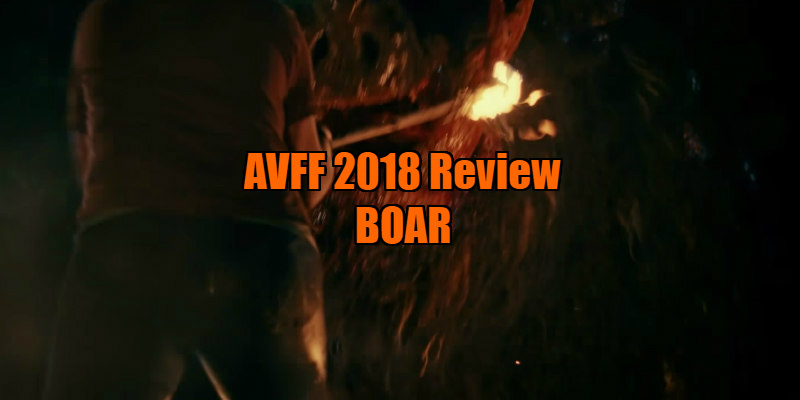 The latest is director Chris Sun, whose Boar - much like Russell Mulcahy's 1984 Ozploitation touchstone, Razorback - features a wild boar of gigantic proportions chomping and stomping its way through the land. Having reinvented himself in the role of Mick Taylor, the homicidal antagonist of the Wolf Creek movie and TV franchise, John Jarratt returns to the sort of heroic role he was known for back in his younger days as the gruff but friendly Ken, a woodsman who stumbles upon the giant creature while boozing in the woods with his mate Bob (Mad Max's Steve Bisley). Under immediate threat from the beast is a holidaying family of city folks and Ken's daughter Sasha (Melissa Tkautz, playing the Outback's most improbably botoxed bartender). 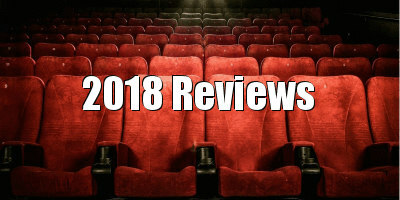 It takes half of Boar's running time for it to begin fully delivering on its monstrous mayhem, but when it comes it's quite impressive, with heads and limbs torn off bodies, and in the film's standout sequence, a tusk slammed through the back of a victim's head, tearing its way through her mouth. The titular terror is an applaudable feat of practical FX, with Sun making sure to keep it partly shrouded in shadow, lest we see any of its strings. As someone who grew up on the rubbery realism of 1980s movie monsters, it gave me a warm glow. When the porcine menace is offscreen however, Boar is a bit of a (sorry!) bore. Sun fails to create any notable characters, with most of the cast essaying one-note stereotypes - the plucky heroine, the grieving mother, the coward, the horny girl etc. Only Jarratt and humongous bodybuilder Nathan Jones manage to stand out, the former with his movie star charm, the latter with his sheer physical size. Tonally, Boar can't decide whether it's the sort of straight 'man vs nature' tale Australian cinema does so well, or a Sharknado-esque pastiche of the genre. Given how convincing its animal antagonist is, this should have aimed to be Razorback for a new generation of monster movie fans, but in its present form it's a disposable piece of VOD fodder that fails to give horror fans enough to sink their tusks into. 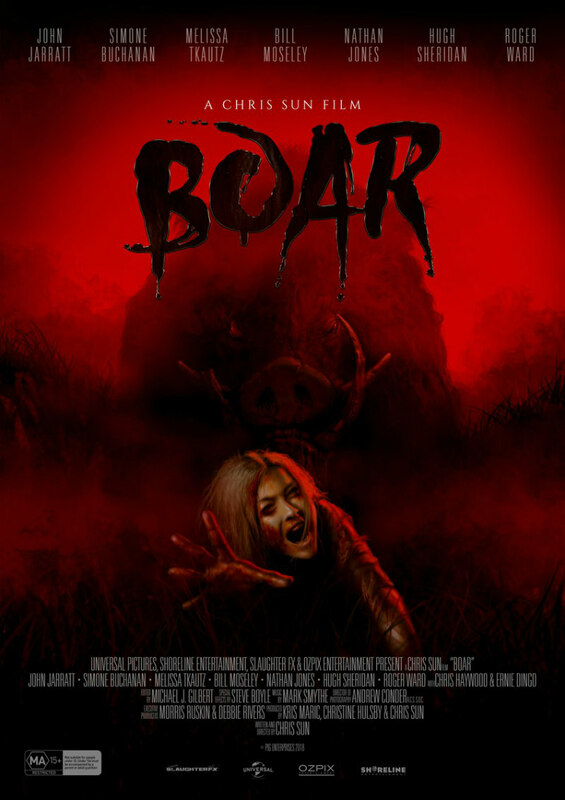 Boar will be released by FrightFest Presents in 2019.